Apartheid is an African word meaning “separation” or literally “apartness”. In English, it has come to mean any legally sanctioned system of racial segregation or a policy of discrimination on grounds of race. Apartheid was developed after World War II by the Afrikaner-dominated National Party and Broederbond organisations and was practised also in South West Africa in a place that eventually became the country of Namibia. Afrikaners were white South Africans whose ancestors were German, Belgian, Huguenot (French), and mainly Dutch colonists. During the Apartheid in South Africa, the rights of the majority black inhabitants of South Africa were curtailed and white supremacy and Afrikaner minority rule were maintained. After the National Party gained power in South Africa in 1948, they immediately began a white-dominated government, enforcing existing policies of racial segregation under a system of government known as Apartheid. 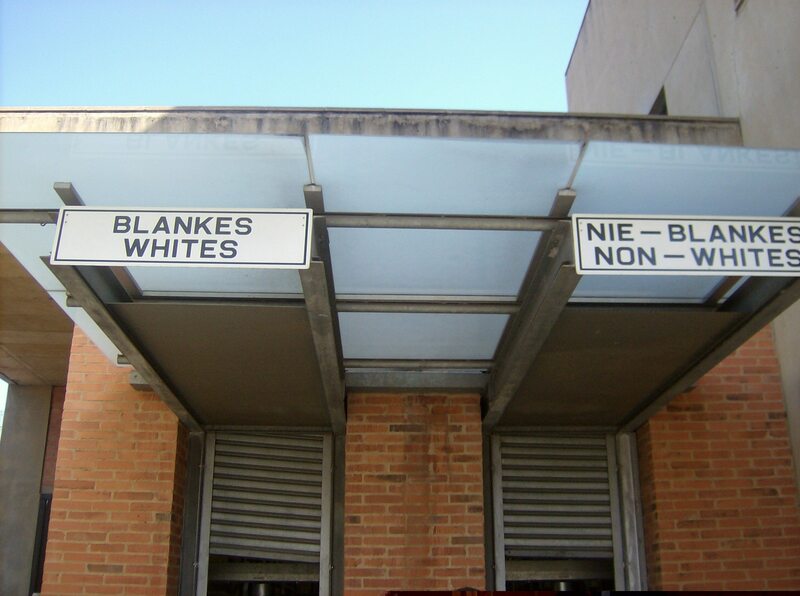 With the enactment of apartheid laws in South Africa in 1948, racial discrimination was institutionalized. Racial laws touched every aspect of human existence and social life, including a prohibition of marriage between non-whites and whites, total separation of blacks from whites in terms of residential areas, schools, hospitals, shops, transportation means, bus stops, entrance and exit ways at places, and the sanctioning of “white-only” jobs. Apartheid lasted in South Africa from 1948- 1994 (46 years). In the year 1950, the Population Registration Act required that all South Africans be racially classified into one of three categories: ‘white’, ‘black’ (African), or ‘coloured’ (of mixed descent). The coloured category included major subgroups of Indians and Asians. Classification into these categories was based on appearance, social acceptance, and descent. In 1951, the idea of “homeland” was instituted in the Bantu Authorities Act, establishing a basis for ethnic government in African reserves. Homelands were established as independent states to which each African was assigned by the government in accordance with the individual’s record of origin (which was often found to be inaccurate). Under apartheid, 13 percent of the land was reserved for black homelands, a relatively small amount compared with the total population, and generally in economically unproductive areas of the country. With this idea, all political rights, including voting rights, held by an African were restricted to the assigned homeland. The idea was that these Africans would be citizens of the homeland, losing their South African citizenship and any right of involvement with the South African Parliament which would still hold complete indirect dominance over the homelands. From 1976 to 1981, four of these homelands were created, denationalizing nine million South Africans. And those living in the homelands needed passports to enter South Africa thereby becoming aliens in their own country. The 1956 law allowed Coloureds to elect four whites to Parliament, but a 1969 law abolished those seats and stripped Coloureds of their right to vote. Since Asians had never been allowed to vote, this resulted in whites being the sole enfranchised group. Apartheid sparked significant internal resistance and violence, and trade embargo against South Africa. Apartheid had the most adverse effect on women since they suffered both racial and gender discrimination. Jobs were often hard to find. Many black and coloured women worked as agricultural or domestic workers, but wages were extremely low, if existent. Children suffered from diseases caused by malnutrition and sanitation problems, and mortality rates were therefore high. The controlled movement of black and coloured workers within the country separated family members from one another because men usually worked in urban centres while women were forced to stay in rural areas. In 1953, the Public Safety Act and the Criminal Law Amendment Act were passed. This enabled the government to declare stringent states of emergency and increased punishments for protesting against or supporting the repeal of an instituted law. Such penalties were severe and were imposed on even non-violent political protests and ranged from fines to torture. During those times, anyone could be detained without a hearing for up to 6 months. Thousands of people died while in custody often following inhumane acts of torture. Those who were tried were sentenced to death, banished, or imprisoned for life, like Nelson Mandela. It was so horrible that blacks received the worst inhuman treatments from the whites. Savage dogs were allowed to tear territory trespassers into pieces. The Anti-Apartheid Movement (AAM), originally known as the Boycott Movement, was a British organization that was at the centre of the international movement opposing South Africa’s system of apartheid and supporting South Africa’s non-whites. In 1990 President Frederik Willem de Klerk began negotiations to end apartheid. Series of negotiations were held between 1990 and 1993 and through unilateral steps by the de Klerk government, apartheid came to an end. The negotiations began with a meeting between the African National Congress and the South African government on 4th May 1990 at the presidential residence, Groote Schuur, during which a 3-point consensus was reached. On 6th August 1990, the South African government and the African National Congress extended the consensus to include several new points. On 14th September 1993, the National Peace Accord was signed and this led to formal negotiations. Nelson Mandela is the protagonist of South Africa’s freedom from Apartheid. He joined the African National Congress two years after he graduated from college. At first, he espoused non-violent resistance to apartheid. But watching the white government’s brutal suppression of protesters caused Mandela to change his position. He abandoned his non-violent stance after government troops killed 69 black protesters in Sharpeville in 1960. His protests landed him in prison in the year, 1963 and he was sentenced to life in prison. But even in his cell, Mandela retained his dignity and his sense of humour. The hand of fate turned around, as he was released 27 years after, in February 1990. The impact of Mandela’s release reverberated throughout South Africa and the world. After speaking to a crowd of supporters in Cape Town where he pledged to continue the struggle, but advocated peaceful change, Mandela took his message to the international media. After Prime Minister de Klerk agreed to democratic elections for the country, the United States lifted sanctions and increased foreign aid, and many of the U.S. companies who dis-invested in the 1980’s returned with new investments and joint ventures. Finally, on 10 May 1994, Mandela was sworn in as South Africa’s president. The Government of National Unity was established.